On the 7th (Sat), hit the slopes at Yosemite Ski and Snowboard Area. 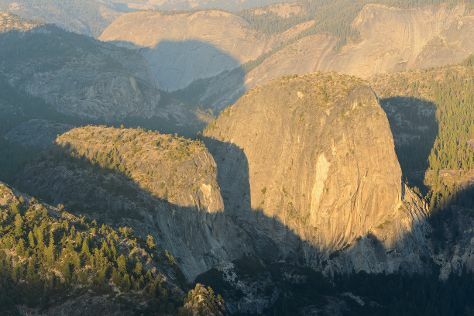 Here are some ideas for day two: tour the pleasant surroundings at Tuolumne Meadows, get all the information you need at Yosemite Conservation Heritage Center, and then take in the dramatic natural features at Glacier Point. You can plan Yosemite National Park trip in no time by asking Inspirock to help create your itinerary. Sydney, Australia to Yosemite National Park is an approximately 19.5-hour combination of flight and car. You can also do a combination of flight, subway, bus, and taxi; or do a combination of flight, bus, and taxi. Due to the time zone difference, you'll gain 18 hours traveling from Sydney to Yosemite National Park. In December, Yosemite National Park is colder than Sydney - with highs of 9°C and lows of -11°C. Finish your sightseeing early on the 8th (Sun) to allow enough time to travel to Scottdale. Scottdale is a borough in Westmoreland County, Pennsylvania, 49mi southeast of Pittsburgh.Early in the 20th century, Scottdale was the center of the Frick coke interests. Start off your visit on the 9th (Mon): get engrossed in the history at West Overton Village & Museums and then grab your bike and head to Cedar Creek Park. To find maps, photos, ratings, and tourist information, you can read our Scottdale road trip planning app . Explore your travel options from Yosemite National Park to Scottdale with the Route module. Traveling from Yosemite National Park to Scottdale, you'll lose 3 hours due to the time zone difference. Traveling from Yosemite National Park in December, Scottdale is a bit warmer at night with lows of -2°C. Finish your sightseeing early on the 9th (Mon) to allow enough time to travel to Hollywood. Kick off your visit on the 10th (Tue): shop like a local with Aventura Mall, then wander the streets of Lincoln Road, then enjoy the sand and surf at South Beach, and finally have fun at Lock & Load Miami. On your second day here, head outdoors with JP Outfitters Inc., then examine the collection at Vizcaya Museum and Gardens, and then buy something for everyone on your list at Bayside Marketplace. To find ratings, more things to do, photos, and other tourist information, you can read our Hollywood attractions planner. Explore your travel options from Scottdale to Hollywood with the Route module. Expect warmer temperatures when traveling from Scottdale in December; daily highs in Hollywood reach 31°C and lows reach 23°C. Finish your sightseeing early on the 11th (Wed) so you can travel to Las Vegas. On the 12th (Thu), take in breathtaking views at Red Rock Canyon National Conservation Area, have some family-friendly fun at Apocalypse Vegas, and then don't miss a visit to Bellagio Fountains. On the 13th (Fri), you'll have a packed day of sightseeing: see the interesting displays at The Mob Museum, admire the natural beauty at Bellagio Conservatory & Botanical Gardens, and then make a trip to The Strip. To see more things to do, maps, other places to visit, and more tourist information, read our Las Vegas trip planning website . Traveling by flight from Hollywood to Las Vegas takes 7.5 hours. Alternatively, you can drive; or take a bus. You'll gain 3 hours traveling from Hollywood to Las Vegas due to the time zone difference. Plan for colder temperatures traveling from Hollywood in December, with highs in Las Vegas at 16°C and lows at 4°C. Finish your sightseeing early on the 13th (Fri) to allow enough time to drive to Death Valley National Park. Kick off your visit on the 14th (Sat): trek along Wildrose Peak Trail and then explore the striking landscape at Zabriskie Point. To see more things to do, reviews, traveler tips, and other tourist information, go to the Death Valley National Park online trip maker . Getting from Las Vegas to Death Valley National Park by car takes about 2.5 hours. Other options: take a bus. Traveling from Las Vegas in December, you can expect nighttime temperatures to be little chillier in Death Valley National Park, with lows of 0°C. Wrap up your sightseeing on the 14th (Sat) early enough to drive to Grand Canyon National Park. Start off your visit on the 15th (Sun): take in breathtaking views at Yavapai Point, trek along South Kaibab Trail, then explore the stunning scenery at Grand Canyon South Rim, and finally take some stellar pictures from Hopi Point. On the 16th (Mon), you'll have a packed day of sightseeing: trek along Rim Trail, don't miss a visit to Grand Canyon Railway Depot, and then get great views at Lookout Studio. To see reviews and more tourist information, read our Grand Canyon National Park trip planner. Getting from Death Valley National Park to Grand Canyon National Park by car takes about 7 hours. The time zone difference moving from Pacific Standard Time (PST) to Mountain Standard Time (MST) is 1 hour. Traveling from Death Valley National Park in December, expect Grand Canyon National Park to be little chillier, temps between 8°C and -11°C. Finish up your sightseeing early on the 16th (Mon) so you can go by car to Palm Springs. Palm Springs is a desert resort city in Riverside County, California, United States, within the Coachella Valley. Kick off your visit on the 17th (Tue): tour the pleasant surroundings at Cactus to Clouds, then explore the stunning scenery at Tahquitz Canyon, and then steep yourself in history at Tennis Club District. For other places to visit, traveler tips, and other tourist information, you can read our Palm Springs travel planner. You can drive from Grand Canyon National Park to Palm Springs in 6.5 hours. The time zone changes from Mountain Standard Time to Pacific Standard Time, which is usually a -1 hour difference. Expect warmer temperatures when traveling from Grand Canyon National Park in December; daily highs in Palm Springs reach 24°C and lows reach 10°C. Wrap up your sightseeing on the 17th (Tue) early enough to drive to San Diego. Start off your visit on the 18th (Wed): appreciate the history behind Cabrillo National Monument and then meet the residents at San Diego Zoo. Get ready for a full day of sightseeing on the next day: examine the collection at San Diego Model Railroad Museum and then find something for the whole family at SeaWorld San Diego. To see traveler tips, where to stay, ratings, and other tourist information, go to the San Diego online driving holiday planner . You can drive from Palm Springs to San Diego in 2.5 hours. Other options are to take a bus; or do a combination of bus and train. In December in San Diego, expect temperatures between 23°C during the day and 12°C at night. Finish up your sightseeing early on the 19th (Thu) so you can go by car to Carlsbad. On the 20th (Fri), admire the natural beauty at Self Realization Fellowship Hermitage & Meditation Gardens and then find something for the whole family at LEGOLAND California. Plan my day in Carlsbad using traveler tips and tourist information provided by Inspirock. You can drive from San Diego to Carlsbad in an hour. Other options are to take a train; or take a bus. Traveling from San Diego in December, expect a bit cooler with lows of 6°C in Carlsbad. Wrap up your sightseeing on the 20th (Fri) early enough to drive to Anaheim. 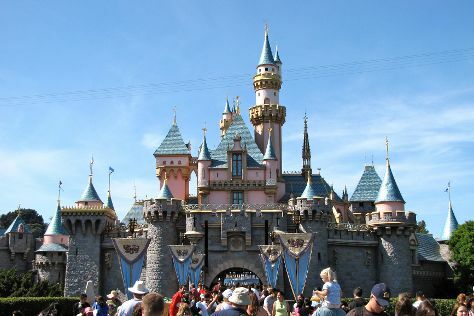 On the 21st (Sat), make an unforgettable trip to Disneyland Park. On the next day, make an unforgettable trip to Disney California Adventure Park. Plan a trip to Anaheim easily and quickly by telling Inspirock to suggest an itinerary. You can drive from Carlsbad to Anaheim in 1.5 hours. Other options are to take a train; or take a bus. In December, daytime highs in Anaheim are 25°C, while nighttime lows are 9°C. Finish up your sightseeing early on the 22nd (Sun) so you can catch the train to Los Angeles. On the 23rd (Mon), get in on the family fun at Universal Studios Hollywood. On the 24th (Tue), you'll have a packed day of sightseeing: see the interesting displays at The Getty Center, put a fun spin on your tour with Fantastic Race, and then see the sky in a new way at Griffith Observatory. To see ratings, reviews, more things to do, and other tourist information, you can read our Los Angeles trip planner . Los Angeles is just a short distance from Anaheim. Expect a daytime high around 24°C in December, and nighttime lows around 11°C. Finish your sightseeing early on the 24th (Tue) so you can drive to Santa Barbara. Start off your visit on the 25th (Wed): steep yourself in history at Old Mission Santa Barbara, admire nature's wide array of creatures at Santa Barbara Zoo, then browse the exhibits of Santa Barbara Museum of Natural History Sea Center, and finally take a leisurely stroll along Stearns Wharf. To find maps, ratings, more things to do, and other tourist information, go to the Santa Barbara sightseeing planning app . Drive from Los Angeles to Santa Barbara in 2 hours. Alternatively, you can take a bus; or take a train. Traveling from Los Angeles in December, plan for slightly colder nights in Santa Barbara, with lows around 5°C. Finish your sightseeing early on the 25th (Wed) so you can drive to San Simeon. Kick off your visit on the 26th (Thu): identify plant and animal life at Elephant Seal Rookery, have fun at Shamel Park, and then trek along Fiscalini Ranch Preserve. To find traveler tips, ratings, more things to do, and other tourist information, refer to the San Simeon tour planner. Traveling by car from Santa Barbara to San Simeon takes 3 hours. Alternatively, you can take a bus; or do a combination of train and bus. Plan for little chillier nights when traveling from Santa Barbara in December since evenings lows in San Simeon dip to 0°C. Finish up your sightseeing early on the 26th (Thu) so you can go by car to Monterey. 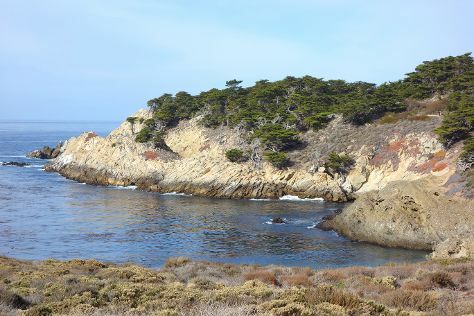 Monterey is a city in the U.S. On the 27th (Fri), admire the majestic nature at Point Lobos, then contemplate the waterfront views at Monterey Bay, and then get to know the fascinating history of Pacific Grove Oceanview Boulevard. To find maps, photos, where to stay, and more tourist information, go to the Monterey day trip website . You can drive from San Simeon to Monterey in 3 hours. Alternatively, you can take a train; or do a combination of car and bus. Expect somewhat warmer evenings in Monterey when traveling from San Simeon in December, with lows around 7°C. Finish up your sightseeing early on the 27th (Fri) so you can go by car to San Francisco. On the 28th (Sat), don't miss a visit to Lombard Street, take in the waterfront at Fisherman's Wharf, then step off the mainland to explore Alcatraz Island, and finally admire the natural beauty at Japanese Tea Garden. On the 29th (Sun), you'll have a packed day of sightseeing: get curious at Exploratorium and then admire all the interesting features of Golden Gate Park. To find reviews, photos, where to stay, and more tourist information, go to the San Francisco online day trip planner . Traveling by car from Monterey to San Francisco takes 2.5 hours. Alternatively, you can fly; or do a combination of bus and train. In December in San Francisco, expect temperatures between 17°C during the day and 8°C at night. You'll have a few hours on the 30th (Mon) to wrap things up before traveling home.